In a sensational finish, Jair Bolsonaro, an extreme far-right candidate from the Social Liberal Party, won a massive mandate on October 28 to become Brazil's next president. The presidential poll and Bolsonaro's sensational rise in such short span of time have all the ingredients of a Hollywood drama. An obscure party and a relatively unknown candidate sweeping Latin America's most prized election by defeating many heavyweights will continue to reverberate in the wider region. 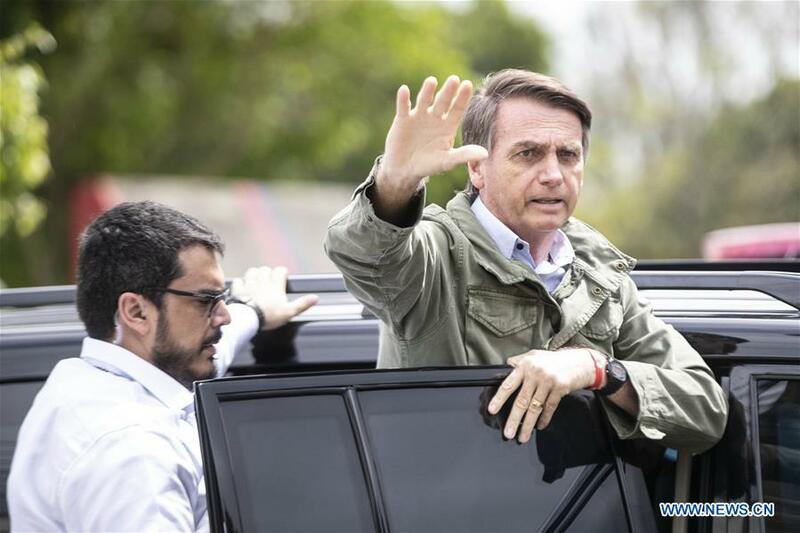 Importantly, with a notoriety similar to American President Donald Trump in terms of xenophobia, authoritarianism and misogyny, political observers feel that the right-wing authoritarian populism will have a field day in Latin America and other regions. What triggered the Bolsonaro phenomenon in a country that has charted a steady right and left path since it became a democracy in 1985? While it would take months to uncover the underlying factors for such a dramatic electoral outcome, there are a few visible markers behind his epic rise. One, notwithstanding the wave of sympathy votes for Bolsonaro over the near-fatal attack on his life weeks before the elections and the withdrawal of ex-president Lula from the fray that made things easier for Bolsonaro, his epic rise also had something to do with the growing dissatisfaction of average Brazilians with the political class from both spectrums (left liberal and center-right). This is evident in the fact that in the last few years Brazil's political scene has been witnessing significant upheavals which many analysts call "political circuses." This includes the sensational and arbitrary impeachment of Dilma Rousseff of the popular Workers' Party, the surprise indictment and subsequent imprisonment of the widely popular former president Lula over corruption and the indictment of top politicians from nearly all the major parties over the Operation Car-Wash scandal which involved bribes of over several billion dollars. Thus, many electorates, particularly the large middle class in Brazil have grown disillusioned and angry with mainstream politicians. A recent survey by Latinoborometro found that a low 13 percent of Brazilians were satisfied with democracy and the vast majority felt that politicians ran for office only to make money. Bolsonaro used Operation Car-Wash masterfully to paint the entire political class as corrupt, venal and self-serving. Second, and perhaps the most important factor that contributed to the electoral surprise is Brazil's sinking economy. Latin America's largest economy, which witnessed breakneck economic growth in the previous decade, is today experiencing its worst-ever recession (the economy has shrunk nearly 10 percent on a per capita basis from 2014 to 2017). In addition, the region's biggest economy is facing one of the highest unemployment rates and the quality of life has deteriorated rapidly over the last few years. With this, there is a high degree of inequality as the six richest men in the country have more wealth than the combined wealth of the poorest 50 percent of the population in Brazil. Third, and arguably the most important trigger for Bolsonaro's rise is that the far-right candidate had masterfully used the existing socio-political conditions in his favor. He cultivated an image of an honest army man and an "outsider" determined to take on rampant corruption as well as the culture of sleaze and patronage that have become synonymous with political office. In this way, Bolsonaro was able to attract millions of conservative women, notwithstanding his misogynist views about them. What helped his cause was the quick reinvention of his image as an economic liberal committed to reform the country's bloated pension system that had been manipulated by elites and to transform it by offering attractive incentives to foreign investors to create jobs. What, however, caught the attention of most citizens was his populist promises to remove stringent environmental restrictions and his strong crackdown on the rising crime rate. His proposal to waive gun control laws to allow ordinary citizens to acquire their own arms and pull the country out of the Paris Treaty on climate change won him many supporters much like Trump did in 2016. He became an instant hero for private business and traders, and won support from the educated, rich and older white men. To sum up, the rise of the Bolsonaro phenomenon is a symptom of many maladies that have come to disrupt the once vibrant and dynamic country. His rise is an outcome of extreme political polarization that is being witnessed in many regions of the world, mainly in America and Europe. Things that looked totally unacceptable in mainstream society now look fine. A decade ago, no front runner for the president's office would dare make insensitive remarks against racial minorities, LGBT communities and immigrants, but Bolsonaro did this and still won the top job in Brazil. The implications of a far right candidate holding the country's top political post cannot be wished away. There are legitimate fears that, like Donald Trump, he would unleash a great deal of unpredictability on issues of immigration, trade and climate change. There are also real concerns that his policies could openly promote majoritarianism, human rights violations due to loosening gun control laws and allow the police a free hand to go after alleged criminals. Yet, those who understand Brazilian society and its institutions including its Congress, as well as its political system that naturally favors coalition and the judiciary, know that the country has the resilience and institutional checks to stop an authoritarian populist from crossing the redline. As such, his victory might be an aberration and a temporary phenomenon. Niranjan Sahoo is a Senior Fellow of the Observer Research Foundation in New Delhi.